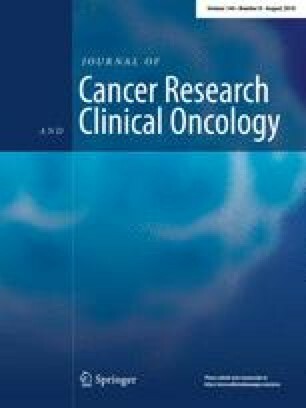 There is limited information about survival effect of vaginal brachytherapy (VBT) and its comparison to external beam pelvic radiotherapy (EBRT) and no radiotherapy (no-RT) of endometrial cancer patients. We performed a multicenter retrospective registry study of 1550 patients with endometrial cancer treated by no-RT (n = 702), VBT (n = 430) and EBRT ± VBT (n = 418). The outcome measure was overall survival. RT did not improve the overall survival of patients with a low risk of recurrence. In univariate analysis, the survival effect of VBT was significant in patients with intermediate and high risk of recurrence (HR 0.42, CI 0.29–0.60, p < 0.0001). EBRT ± VBT demonstrated no survival effect in these groups. Multivariate analysis showed that VBT (HR 0.50, CI 0.36–0.71) significantly reduced the mortality risk in patients with an intermediate and high risk compared with no-RT after adjustment for age, tumor grading, tumor stage, lymphadenectomy, adjuvant therapy and comorbidities. Matching for age, histological type, tumor stage, tumor grade, and performance status between patients treated with no-RT and VBT was performed. The matching analysis again demonstrated the favorable survival effect of VBT compared to no-RT on overall survival with an absolute risk reduction of 17.7%. Notably, in a further 106 matched pairs, EBRT ± VBT did not demonstrate any survival effect over VBT among patients at intermediate and high risk of recurrence. VBT should be performed in patients at intermediate and high risk of recurrence of endometrial cancer, after operative determination of lymph node status. Written informed consent was obtained from all patients before treatment. According to the statement of Research and Ethical Committee, Otto-von-Guericke University, Magdeburg, Germany, an additional individual consent was not required for this analysis. Before analysis, patient data underwent a pesudonymisation.